on the most recent versions of and experiments upon our latest ICOM -based systems. and Sympathetic to current human thinking, intuition, and feelings) . unexplored one like unemotional and selfless “rationality”. [20-21] are part of the core calculations for the core to process a single context tree. and descriptive rather than generative. context to elements of context as they are passed into the core. • Action – The need to associate a predisposition for action as the system evolves. • Input – A key context flag distinguishing internal imaginations vs external input. inherent nature to see patterns in things). grounding problem is very relevant). restarting of input, actually “enjoyed” it. Of course, we should have expected this result. even provoke negative reactions in order to avoid being ignored. Judgment. Psychological Review 108, 814-823 (2001). the Future of the Human Mind. Simon & Schuster, New York (2006). 6. Camp, J.: Decisions Are Emotional, Not Logical: The Neuroscience behind Decision Making. 7. Damasio, A. R.: The feeling of what happens: Body and emotion in the making of consciousness. Harcourt Brace, New York (1999). Frontotemporal Dementia. Dementia and Geriatric Cognitive Disorders 20, 99-104 (2005). 12. Minsky, M. L.: The Society of Mind. Simon and Schuster, New York (1986). 17. Gomila, A., Amengual, A.: Moral emotions for autonomous agents. In J. Vallverdu, & D.
180). IGI Global, Hershey (2009). Behavior and Shape Society. Houghton Mifflin Harcourt Publishing Co., New York (2016). 19. Kelley, D. J.: Modeling Emotions in a Computational System. 24. 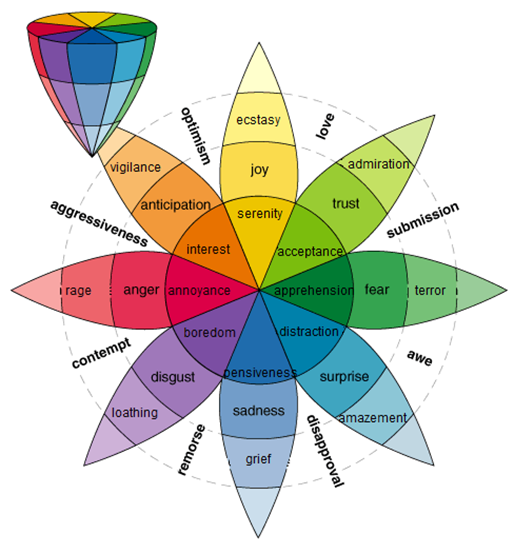 Showers, A.: The Feelings Wheel Developed by Dr Gloria Willcox (2013). 26. Plutchik, R.: A general psychoevolutionary theory of emotion. In R. Plutchik, & H.
33). Academic Publishers, New York (1980). 27. Plutchik, R.: Emotions and Life: Perspectives from Psychology, Biology, and Evolution. American Psychological Association, Washington DC (2002). 28. Norwood, G.: Emotions. http://www.deepermind.com/02clarty.htm (2011). 29. Hudak, S.: Emotional Cognitive Functions. 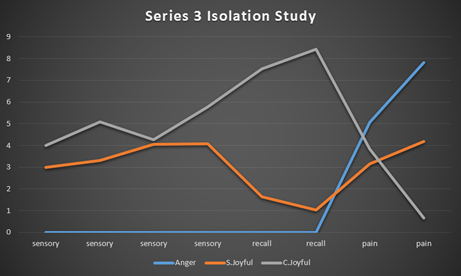 In: Psychology, Personality & Emotion (2013).